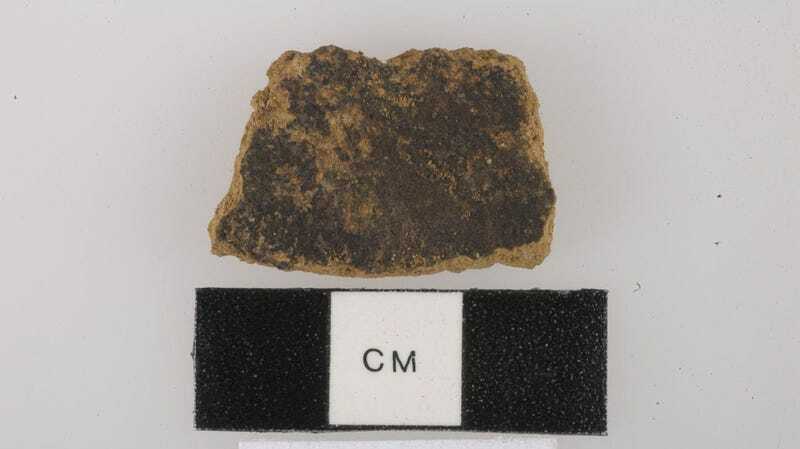 One of several pottery shards found at the Pulau Ay archeological site containing traces of food, including nutmeg. Mmmm, nutmeg. It’s the spice that adds a certain something to pumpkin pies, custards, and hot cups of coffee. We love our nutmeg to an embarrassing degree, but as a recent archaeological discovery shows, its origins date back to a very different time—and far longer ago than we realized. Neolithic humans living on the Indonesian island of Pulau Ay were using nutmeg as a food ingredient 3,500 years ago, according to research published this week in the science journal Asian Perspectives. That’s 2,000 years earlier than previously thought, highlighting its use among some of the earliest settlers of Southeast Asia. Pulau Ay is a very small limestone island no larger than 1.5 square miles (4 square kilometers). Located among the Banda Islands of central Maluku, it was home to a population of humans from 3,500 years ago until about 2,300 years ago. At the time, the island featured no native land mammals or surface water. Human occupation would’ve been next to impossible without the benefit of technologies, such as animal domestication and water storage. Archaeologists working at the Pulau Ay site. A neolithic site on Pulau Ay was excavated in 2007 and then again in 2009, during which time archaeologists pulled out various animal bones, pottery, stone tools, and evidence of habitation. A new analysis of these artifacts, led by Peter Lape from the University of Washington, along with researchers from the Universitas Gadjah Mada in Indonesia, the University of New South Wales in Australia, among other institutions, offers a chronological perspective of this community, revealing changes to their living habits over time. This period in the history of Southeast Asia was witness to many new developments, including the introduction of new plants, animals, and technology to the region. Evidence presented in the new study suggests these changes didn’t happen all at once—they were very gradual. Pulau Ay presented a very challenging environment, and its inhabitants had to continually find new ways to adapt. From about 3,500 to 3,000 years ago, this population primarily fed on fish and other seafood, but then they switched to eating domesticated pigs. Lape and his colleagues could see this transition through the animal bones left at the site, but also by analyzing their pottery; at first, these people used thin-walled vessels, likely to hold water, but later they switched to thicker vessels, which were better for cooking and were found alongside the bones of pigs. Biochemical analysis of residue found on the pottery revealed a number of food ingredients, including sago (a starch extracted from the spongy center of various tropical plants), purple sweet potatoes (the history of sweet potatoes is another story entirely), and nutmeg. The archaeologists aren’t sure if these ingredients were collected from the wild, cultivated through farming, or a combination of the two. The fruit of Myristica fragrans is cut open to reveal its seed. Nutmeg comes from Myristica fragans, a strongly aromatic, slow-growing evergreen tree that can grow up to 50 feet tall (15 meters). The seed inside its pear-shaped fruit can be turned into a powder, which we happily call nutmeg. Indeed, the discovery is providing new details about the origin of this popular spice, and its place in history. By the time of the early modern era, around the 14th century (and as this new research suggests, possibly much earlier), the Banda islands had become popular among long-distance traders, who were eager to acquire the celebrated nutmeg spice. From such humble beginnings some 3,500 years ago, nutmeg eventually exploded into the multi-million dollar industry it is today. For reasons unknown, the community on Pulau Ay disappeared around 2,300 years ago. Strangely, no archaeological remains have been found on other Banda islands dating to the era between 2,300 to 1,500 years ago. The authors of the new study say future work should focus on this long gap to find out why humans abandoned these islands for nearly 800 years. A true mystery, indeed. But whatever the reason, it must have been serious. It’s hard to imagine anyone in their right mind abandoning the source of such a tasty ingredient.